Play Hold it Casino™ online for free now! Only you can stop the wild fruits that dash across the reels in Hold it Casino™ - tame them by making use of the “Hold it” symbols: it substitutes for all our juicy rascals in its role as the Joker. It also stays fixed in place if Lady Luck didn’t have your back during a spin. There’s no better way to reel in lush winnings! Stop in the name of winnings! That’s the motto of Hold it Casino™. It’s your aim to achieve 4 identical symbols on any of the 5 win lines without any interruptions from other symbols. Every winning pattern begins on the left and runs all the way to the rightmost reel. 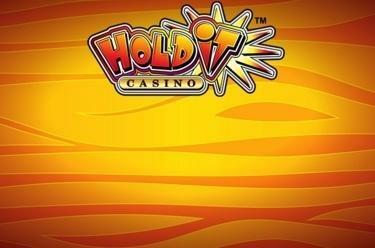 The “Hold it” logo acts as Joker symbol which substitutes all other symbols and remains fixed on its position if a spin hasn’t brought you any winnings. 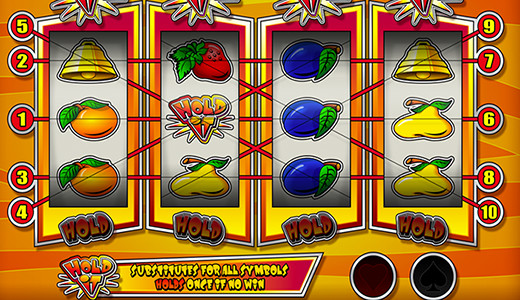 If a “Hold it” symbol appears without any winning combination, then the logo will remain fixed on its position on the reels for the next spin, increasing your winning chances.